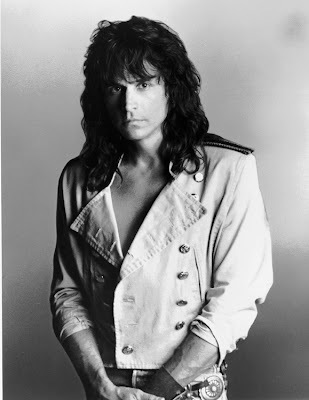 This week on Talking 80s Music we were lucky enough to talk with singer-songwriter Stan Bush just days after the release of his new studio album, Dream The Dream. It was a great chance to talk to him about the new release, his work on soundtracks, his 1986 classic "You've Got The Touch" and much more. We play a retrospective mix, the 1997 version of the aforementioned song and "I'm Still Here" off his new album. Martin had a great time with the show despite being under the weather. Once it got over to editing we noticed that our host Talkshoe.com wasn't allowing anyone to download any of the previous episodes. Until that was fixed, we couldn't upload a new one. Thankfully, everything seems to be fixed early on Sunday morning but we still worry about how long the episodes have been unavailable.